DSL is a U.K. based designer, manufacturer and distributor of embedded computing solutions, deriving mutual success through partnership and co-operation, providing the right solution, at the right time and the right price – without bias. Our embedded/industrial computing solutions exceed expectations of functionality, reliability and longevity. Whether using off the shelf or bespoke product, our service and support levels are envied throughout our industry. ...we pride ourselves on being different - with numerous benefits unique to DSL for our valued clients. DSL have been an ISO 9001 accredited company since May 1995. ISO 9001 is an independent endorsement of a company’s Quality Management System, which has promoted wider business opportunities for DSL throughout the world. 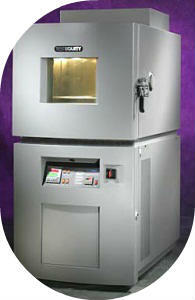 Audited by LRQA, customer confidence continually increases through the supply of consistent products and services. At DSL we take our environmental obligations and impact very seriously. Becoming accredited to the ISO 14001 standard demonstrates our commitment to uphold our obligations and our goal to reduce our impact, not just locally but globally. Through regular reviews, DSL check that our Environmental Management System, objectives, programmes and policies meet the needs of the business and act accordingly. DSL sustain and celebrate long term relationships with their partners to ensure continuity of supply and high quality. Partnering with specialised far eastern manufacturers has enabled DSL to become the competitive face of embedded it is today. Here at DSL, we have always invested efficiently in state of the art machinery to improve our capabilities as embedded/industrial designers. We encourage all our customers to make use of that investment for their own testing and validation, entirely free of charge – avoiding the need to invest substantial sums themselves for onsite facilities, or the costly hire of such machinery from a rental company. If you feel you can contribute to a growing and dynamic technology company, find out more about joining us. Panel PCs provide an all-in-one, easy to install and vandal-proof human machine interface, designed for the most industrial environments – even underwater! Longevity and reliability are primary demands of our Panel PCs, but we offer much more. DSL’s Panel PCs are fully customisable, functionally and visually. DSL stock a range of evaluation Panel PCs to prove suitability without investment, or we will visit your site to offer our own Panel PC expertise. DSL’s extensive range of Industrial serial, USB and Ethernet adaptors are the most reliable way of communicating and controlling your equipment globally, within an industrial environment. Please talk to a member of our Technical Sales Team for further information! Outside of a comfortable office, commercial displays are vulnerable, liquid ingress from the installed environment or simply cleaning can cause irreparable damage. 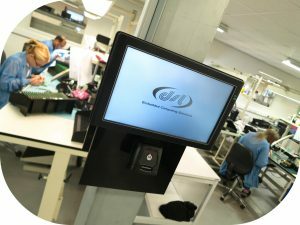 By utilising the highly ruggedised alternative, installing an Industrial Display Monitor, liquid or dust ingress is no longer of concern, nor degradation of the display due to heavy usage. Due to their flexible mounting options (panel mount into a vertical surface, or attach to a VESA extendable arm), multiple power input options and vastly extended temperature range – the decision is obvious! For where a desktop simply isn’t suitable, the industrial alternative enables a truly fit and forget approach, in even the harshest locations. Even the highest performance, Core i7 ruggedised industrial platforms can operate without any moving parts – improving life time by years. Whilst longevity and reliability is always key, identifying the perfect solution isn’t always easy, drill down to suitable products via our intelligent filters or utilise our decades of experience and contact us now! Prove suitability without investment with DSL’s Evaluation Samples. Whilst longevity and reliability is obviously key, identifying the perfect solution isn’t always easy; drill down to suitable products via our intelligent filters. Alternatively utilise our decades of experience and contact us now, DSL only provide what’s right for you, not for us. 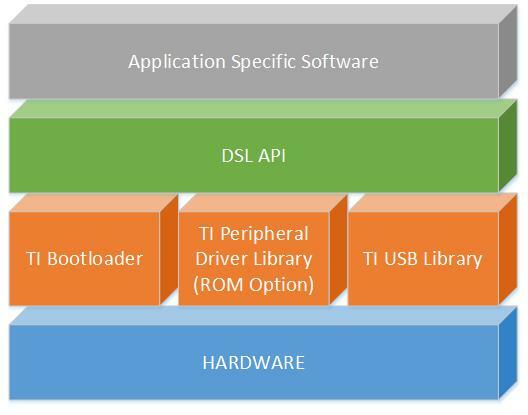 DSL offer free custom BIOS and embedded OS development. System-On-Modules & Computer-On-Modules (terms interchangeable) have been around for over 2 decades. Early formats lacked standardisation, in fact DSL produced one of the earliest true System-On-Modules, the Chameleon, back in 1991 – this was still in manufacture 15 years later! We know our products are of the highest quality but how do you know if they’re suitable for your application? DSL are confident in the quality of our products that we’ve invested in our most popular models, so you can prove your concept and software free of charge! If these are suitable then customers can choose to purchase these outright to immediately fulfil their requirement and we also stock hold in the UK for those last minute requirements. DSL strive to be that 'one stop shop' for embedded. DSL works tirelessly to create tools that make evaluating and developing with (sometimes finicky) embedded hardware easy. ...DSL makes your development easy. If you’re extremely lucky, your off-the-shelf product will meet your functional and aesthetic needs entirely – though that’s rarely the case. To offer the benefits of bespoke design without costly ‘from scratch’ effort, DSL offer an exhaustive range of flexible customisation options. The combination of DSL and our Far Eastern partners enables this full breadth of application specific modifications to be undertaken in minimal time/cost and manufactured on site – benefiting from overseas manufacturing costs. 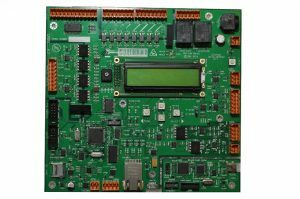 DSL offer the benefit of custom PCB design without the associated cost with our board level (Single Board Computer) customisation and manufacturing service. 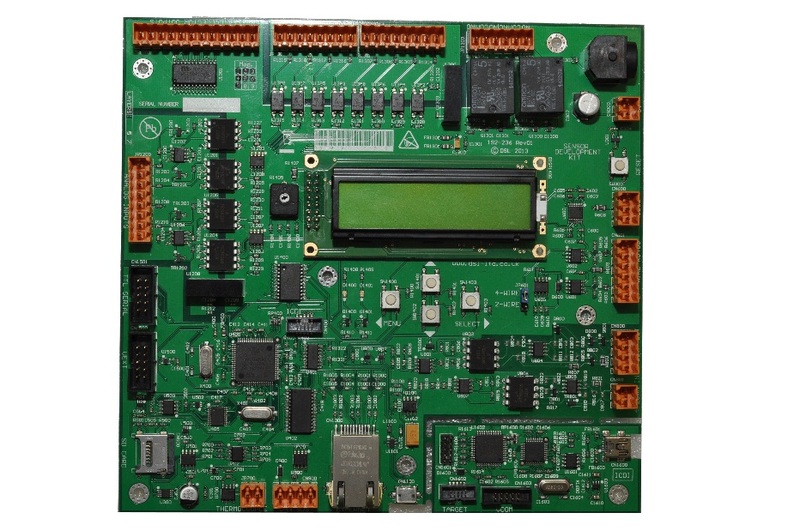 Our Single Board Computers are customisable from simple cost-down modifications to remove superfluous functions to creating application specific board solutions with highly complex I/O configurations. DSL offer the benefit of custom product design without the associated cost with our Panel PC, Industrial PC and Industrial Display customisation and manufacturing service. Off-the-shelf systems can be visually and functionally customised to suit your every whim, with a range of bezel materials including stainless steel, aluminium and plastic. The combination of DSL and Aplex facilitates application specific modifications to be undertaken in similar costs/time-scales to standard products using Aplex’s own overseas production facility. Sometimes off-the-shelf products simply cannot meet your requirements. On these occasions DSL can offer a fast and reliable bespoke electronic design service focused on delivering application specific and cost optimised solutions. DSL provide a ‘one stop shop’ for hardware design, firmware/software development, certification and production, with obsolescence management. DSL’s remit can range from simple control circuitry, to managing and delivering entire multi-layer, multi-board projects, from inception, design, prototyping and to delivering fully assembled and tested production quantities. We know that DSL clients often have very demanding and challenging project objectives to meet relating to quality, cost and time. They rely on us to play a key role in meeting these goals by making the design and delivery process as smooth and predictable as possible. With over 25 years’ experience, we have developed a proven design process which fast tracks many of the time consuming stages, while delivering ‘right first time’ results. DSL has a wealth of experience in all areas of Embedded, Industrial and Electronic design. Below you will find a small selection of just some of the leading edge technologies DSL have incorporated over the last 20 years. DSL’s strength, achieved via 2 decades of multi-vertical market designs, translates to an eagerness and readiness to embrace new technologies, without necessitating a steep learning curve. Outsource the headache by employing DSL to manage your project’s certification requirements on your behalf. In designing your entire product, DSL can undertake these approvals often without any involvement from our clients. DSL’s excellent service doesn’t stop once the design is complete, the majority of DSL’s clients utilise our Production Management services, delivering scalable quantities of product how you require and when you require. From regular low quantities to tens of thousands per annum with flexible call off deliveries, DSL has the capability to manage your entire product production, with multiple stage testing, assembly and seamless obsolescence management to resolve any issues on your behalf, providing a hassle free production that you can rely upon. It’s easy to talk the talk, but how often can you prove you walk the walk? Whilst always difficult in an industry invariably heavily restricted by NDAs, many of DSL’s clients not under such restrictions are happy to tell their story. DSL have a wide range of very specific skillsets, spanning ARM® microcontrollers and microprocessors, x86, re-engineering (obsolescence management) and realising the revolution that is IoT. Increasingly in today’s fast moving world, off-the-shelf products simply cannot meet your requirements. On these occasions DSL can offer a fast and reliable bespoke electronic design service focused on delivering application specific and cost optimised solutions. 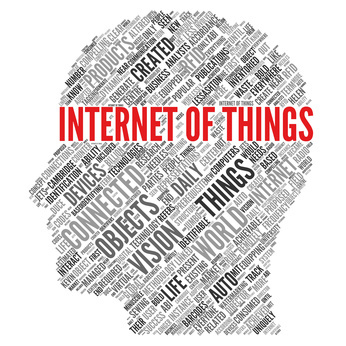 “IoT” describes the revolution in bringing internet connectivity to previously isolated devices, achieving ‘connected devices‘. Early examples include smart thermostats enabling the user to control their central heating remotely, though in the industrial sector this has signalled the arrival of Industry 4.0, heralding a new era in M2M smart manufacturing. “IIoT” pulls the revolution of bringing internet connectivity to previously isolated devices to our factory floors and harsh environments. Often labelled Industry 4.0, it powers a new era in M2M smart manufacturing which enables businesses to monitor and control devices and productivity from anywhere on the planet. We’ve invested heavily to be at the forefront of embedded and industrial IoT sensor and gateway technology. As technology evangelists drone on about Industrie 4.0, IoT and revolutionising your entire operation via the cloud, the reality is that many smaller operations both can’t justify the cost and won’t benefit the full breadth of capability this IoT revolution can offer – but equally don’t want to be left behind. What these companies need is a half-way house, an “Industrie 3.5”. Connecting their factory equipment directly to their internal IT network or to a local Panel PC or Industrial PC to control and/or monitor their machinery. Unlike a Local IoT deployment, a Remote IoT application may have no local IT infrastructure, so no LAN or WiFi available to connect our IoT gateway to; or perhaps it does, but you lack permission to access that local network infrastructure. Traditional IoT (a.k.a. Industrie 4.0) is deployed as Sensor > Gateway > Cloud, but innumerable applications exist where a local IoT gateway isn’t viable. For example, an IoT Gateway passing through data from a lone environmental sensor device deployed remotely is commercially impracticable – energy providers need to connect directly to their Smart Meter, not trust the consumer to offer (and maintain) local WiFi access. DSL have developed a solid reputation working in close partnership with many specialist defence contractors across the UK, Europe and beyond. Our work has involved us in providing both commercial off the shelf (COTS) and design solutions to meet the specific demands and rugged performance reliability required in the military and defence environments. The rail, commercial and public transport sectors bring specific challenges to the design and development of supporting technology systems. As technology developments are helping to bring reliability, environmental efficiency and safety improvements to many rail and transport areas, the support of experienced and responsive embedded technology partners becomes more critical. DSL are able to offer expertise and proven experience in providing embedded solutions for a variety of specialist Rail and Transport applications. The medical and healthcare sectors are amongst the most dynamic and advanced when it comes to the design, development and application of new technologies. This means that equipment and device manufacturers as well as specialist product designers need the support and expertise of professional embedded systems providers. The Broadcast and Communications sectors continue to drive technical innovation to satisfy the world’s desire for increasingly effective connectivity, information and entertainment. DSL provides a range of services, products and capabilities which help mission-critical hardware OEM’s deliver high performing networking, communications and broadcast systems across the globe. The Power and Utilities sectors are facing new technology challenges as they seek to find more effective ways of increasing energy provision whilst helping to increase energy efficiency, protect our environment and preserve natural resources. 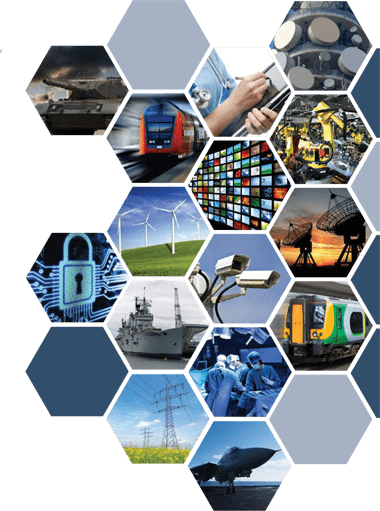 DSL’s experience and technology expertise provides a range of solutions for the Power and Utilities sectors covering support for embedded and programmable automation and control, switching and distribution and monitoring applications. Today’s technology led modern manufacturing sector relies on a high level of automation and control to provide efficiency and precision on a scale never before reached. In this modern manufacturing age operating environments can still be very demanding for computer systems and so rugged and thoroughly tested and capable solutions are vital. Delivering a wider range of information and entertainment across a constantly increasing variety of delivery formats is the job of today’s fast moving Multimedia industry. Covering applications for Gaming, Entertainment, POS/POI, Digital Signage and Multi Media DSL can provide highly skilled design and development solutions to provide the computing applications necessary to bring new multimedia systems to life – and to market. Security in all its forms is a high priority in many aspects of our daily lives. Personal, commercial and information security all depend on the application of sophisticated technology to ensure high levels of protection. Throughout the many forms of security systems including surveillance, access control, tracking and IT the technology behind them depends on the thorough and expert application of reliable and effective computing systems. In recent years the marine and naval sectors have experienced a rapid and significant change in the technology being utilised and installed in modern vessels. Applications now typically require large numbers of components or sub systems interacting with one another in an integrated systems environment. Systems are becoming increasingly complex in order to provide the performance advantages sought by manufacturers and end user markets. We understand the needs of the food and beverage industry, which is why our stainless steel products are found the length and breadth of the UK. With front and fully IP65 units offering VESA and Panel mounting options, if that’s not enough, we also have fully IP69k units which can be high temperature (80°c) pressure washed! DSL is ever adapting to new technologies, whilst extending the lifetime of legacy ones – Keeping our client base updated is critical. DSL’s weekly e-Blog has thousands of subscribers, combining new product news with reports from our Rory Dear on industry trends, through his regular column in Embedded Computing Design, globally the largest embedded trade publication. Our popular company blog details DSL’s technological advances and investments, new product releases, exhibition attendances, whitepaper releases and for the personal touch, our valued employees’ extra curricular achievements. Always willing to pass on our expertise, DSL make our technical whitepapers available without any obligation or need to register. Dive into our last 20 issues of our popular e-Blog, distributed weekly. To have the latest embedded news delivered directly to your inbox, sign up to our weekly mailer now using the form in the footer! Full pre and post sale technical support is provided without obligation, free of charge, for the duration of your project – some of our competitors charge 5p a minute! DSL’s highly trained Sales staff provide an unprecedented level of first line support. Combining years of hands-on product experience, our aim is to resolve any query/issue during the very first discussion. Whilst unlikely, invariably from time to time a product will require support, potentially leading to investigation, repair and the need to return the product. All you need to know is that should that happen, your product support request will be handled expediently and processed as efficiently as possible. DSL understands that any time a product spends as an RMA, is time it is not spending under development, or performing its job in the field. Suspect your product is faulty? Request an RMA number and a DSL representative will be in touch to help you resolve your issue remotely, or to manage its return and efficient resolution. Whilst customers are always welcome to utilise our telephone and e-mail technical support, answers to the most common queries we deal with can be found below and may vastly expedite the resolution to what could well be a very common ‘issue’. Beyond using DSL as a supplier of such hardware/software, DSL’s client base extensively use DSL as a technical resource to resolve technical issues they have within their own project, often far further up the chain than involving any of DSL products themselves. Alternatively utilise our support pages to learn about new emerging technologies in the embedded market. It can be difficult to keep track of all the latest technical acronyms so DSL is here to help! Feel free to call if you’ve encountered any industry acronyms you’d like an explanation of that aren’t listed. Why travel a learning curve we already have? Read our application notes describing very specifically how to undertake certain development tasks, side-stepping any pitfalls on the way! 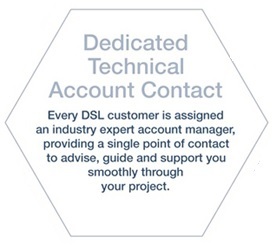 There are a number of ways to establish initial contact with DSL, be that for no questions asked technical advice, or to enquire about one of our products or services. If you prefer the increasingly lost art of verbal conversation, give our engineers a call now on +44 (0)1462 675530. Alternatively, if you favour the traceability of written communication, start the conversation by e-mailing our Technical Sales team at sales@dsl-ltd.co.uk. During office hours, look out for the ‘LiveChat now’ button to begin an instant messaging conversation with one of our expert Technical Sales team. Struggling to find us? Give us a call on 01462 675530 and we’ll be happy to provide verbal directions. Struggling to find what you’re looking for? Request a generic quotation from DSL and we will be in touch straight away to support you finding the perfect solution. Apply for a DSL credit account today to enable fast ordering and improve your cash-flow. We accept credit account payments via BACs, T/T or credit card. Alternatively, if you prefer to pay Pro Forma, we are equally happy to encompass this. In a bid to prove our design process expertise (always difficult when often heavily under NDA) DSL have taken the unprecedented step of publishing all stages of one of our internal product development designs. The AMPIC. The concept that originally spawned the “Functional Building Block” approach to electronic design, the AMPIC was conceptualised in reaction to feedback from DSL’s client base; craving the benefit from emerging ARM technology but without the necessary in-house expertise to develop a solution from an off-the-shelf development board. Those same customers, desperate to get their product to market ahead of their competitors, were less keen on ‘from scratch’ design time-scales, risk and of course, cost. The “Functional Building Block” approach was born. Simplistically translating to DSL ‘pre-designing’ a fully functional development board, designed from the ground up to be fully featured yet segmented easily into its functional parts, from schematics through to circuitry. Any client specific design derived from this starting platform then effectively starts near the end, with the risk, cost and design time-scales long behind us. The challenge of course was to create a development platform that whilst feature rich, wasn’t unnecessarily complex and could be used in parallel to support a client’s software development (further expediting overall completion time) whilst their specific derivative is being built. The second challenge was to incorporate relevant functionality for the target industries, which not only covered multiple industries but also multiple applications within, including Remote Sensors, Standalone Control Systems and Industrial I/O conversion, though of course equally not restricted to them. DSL’s internal engineering, sales and marketing teams collaborated throughout the project, the result – the AMPIC ‘Functional Building Block’. The AMPIC development was undertaken rigidly inline with DSL’s standard design process. Click each hyperlinked section for the applicable document. Step 1 – Requirements Definition – Requirements definition compiled via multiple internal departmental input.